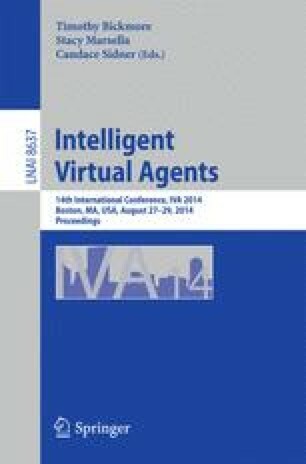 This paper presents a full body interaction approach developed for Traveller, an intercultural training game for young adults based on an interactive storytelling scenario. Traveller involves virtual characters interacting with the users on a large display screen. The users interact with a Kinect, performing full body gestures and controlling a freehand swipe menu to trigger navigation and dialogue actions in the game. A first evaluation proved the recognition capabilities of our system and the comparison with a mouse interface in terms of usability and user experience showed higher positive affect with the Kinect, but a tendency for higher usability and flow with the mouse.